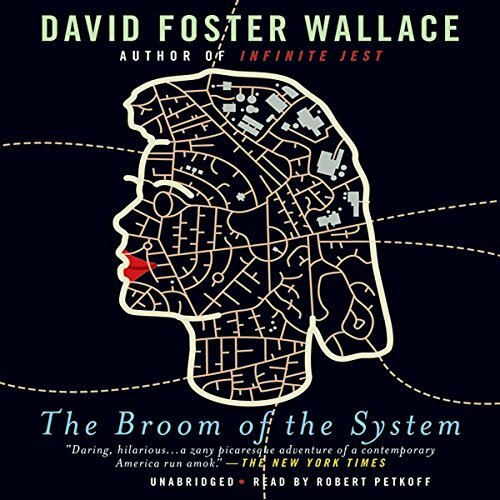 The "dazzling, exhilarating" (San Francisco Chronicle) debut novel from the best-selling author of Infinite Jest, available for the first time as an audiobook. 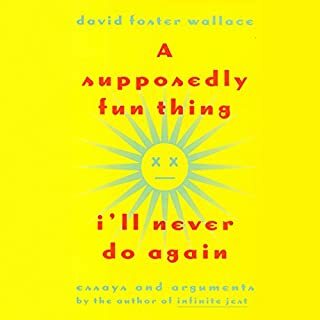 This is one of the few audiobooks that had me laughing out loud again and again, yet if I had to explain the story as a narrative and the ultimate meaning of it, I would feel like I was wrong in some way. The relentlessly articulate language is refreshing and enjoyable much of the time but it took some time for me to figure out the essence of the story. The characters are in some ways extremely sad but often hilarious, and again, relentlessly articulate. The book seems saturated with social commentary, some of which is hilarious and some of which is somewhat biting and perhaps melancholy. The setting seems to be a parallel present day in an Ohio of an alternate universe. I highly reccomend this. Evidence I WASTED my College years. I sure wasted a lot of time in college is all I can say. All in all, not a bad PoMo novel from a undergraduate senior thesis. Some ideas didn't seem to be finished, or put away, but that also seems to be a familiar theme in DFW's work. 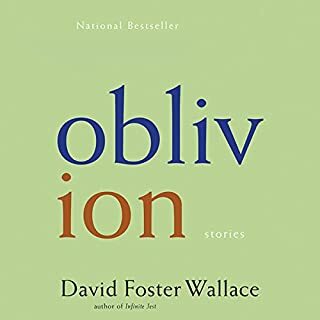 Not my favorite DFW, but I'd still prefer most days to read mediocre DFW to good/great anyone else. This is a really funny book, and there were some really beautiful moments in it, and really, really good characters. 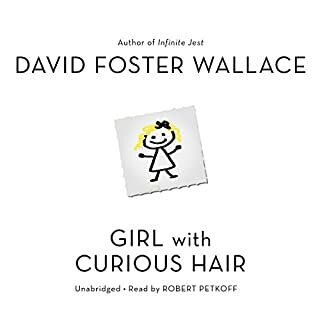 I liked it, for the most part, but I really did become invested in Lenore and the whole plot of the book, and I felt really disappointed with such an unclear ending. 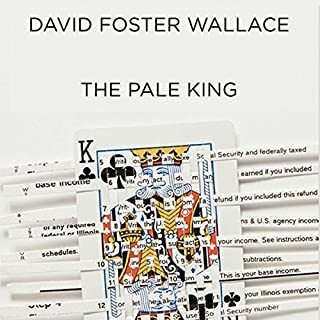 David Foster Wallace seems like a wonderful and talented writer, especially for a dude of his age when he wrote this book, but I wish, for a book that has such a wonderful plot and compelling characters, there was just a little less philosophizing and intentional ambiguity and just a little more plot development / resolution. The narrator, though, does a wonderful job. 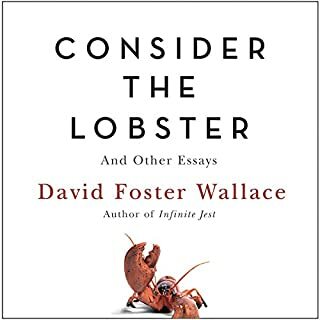 His reading really brings out the magic of David Foster Wallace's text. When you're just reading the language alone on the page, it's easy to miss how overtly funny lines are like, "'...' said Candy Mandible." Robert Petkoff really brings all the characters to life really well. Over the last week while I've been reading / listening to the book, I've been quoting different things over and over to myself like, "Jesus shall not want," or, "Special-wecial food," and saying character names like, "...said Peter Abbot," and besides the extremely well named characters, I feel like it's the narration that really makes the book come alive and brings out all the best parts of it. This is especially true with lines that get repeated throughout the book. I'm not nearly as visually oriented as I am auditory, so when things come up like Dr. Jay saying, "Batter," and "Batter," over and over and over while he's wearing the gas mask, or while Lenore is reading to her regular Grandmother, and she keeps saying, "Roughage," again and again, the narration lets me get so much more into the rhythm of the story and made it very much more enjoyable. 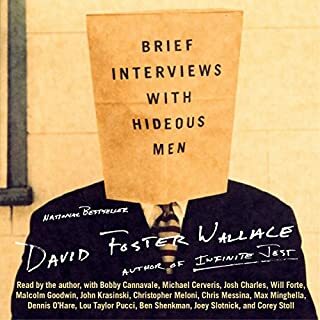 David Foster Wallace...what a strange dude he was. If you like books that jump around from character to character and year to year then you will really like this. I generally like that format but for me there was a little too much, 'wait what's going on?' with each jump. The narrator is very good though. I don't argue the writer's intelligence but this sophomoric attempt at a modern off color comedic screenplay is tortuous. I would never have finished this "book" except the wonderful performance kept me hoping for some form of conclusion that brought worth to the investment of these sixteen and a half hours of my life. Sadly, no such luck. Maybe a younger reader could relate, though I can't imagine anyone actually READING this entire book. The performance is superb, but the material empty. It would be nice if the narrator would take a breath now and then to give the listener a moment to absorb what they are hearing. It is manic and not enjoyable at regular speed. Slowing it down to .75 makes him sound drunk. Amazon could fix the problem by giving their customers the ability to make finer adjustments to the speed, but I guess that is too much to ask for. There were many plot threads that weren’t woven together well and left dangling. Too much pointless description and detail that did not enhance the story. A painfully difficult book to listen to despite the excellent narration. Except for a chuckle here & there I found nothing worthwhile in this book. Sorry David. I still might give Infinite Jest a whirl; you can thank SHAMELESS for that. Funny and engaging and so much more. This is both a story and a metaphor and lots of social commentary. I laughed and chuckled a lot. Loved the first half. The plot went nowhere and ended with a half-clever non-ending. Very dissapointed.